ARM promises Intel-beating performance and power efficiency, but it won't impact Apple's plans. Apple doesn’t use ARM CPUs! ARM just took the unprecedented step of providing a roadmap for its future CPU designs. In doing so, the company crows about how its new Cortex-A76 design delivers performance similar to Intel’s U-series CPUs for thin-and-light notebooks while using a fraction of the power. It’s a neat sales pitch for always-on, always-connected PCs, just as the Windows world starts to dabble in ARM-based laptops and convertible tablets. Some analysts are looking at ARM’s roadmap and using it to fuel speculation that Apple will make its own processors for Macs. I can’t say if Apple does indeed plan to make its own CPUs for Macs in the next couple years, but I can tell you this ARM roadmap has got nothing to do with it. ARM compares next year’s CPU against last-year’s Intel chip. The Cortex-A76, which isn’t available in a real processor for actual testing yet (and thus uses projected results), is faster than a Core i5-7300U at base clock and almost as fast at Turbo clock. All at less than a third of the power! Wow! Then you look more closely. Notice anything odd? ARM is talking only about performance in SPECINT 2006, a fairly old synthetic benchmark that measures integer performance. That’s fine for what it is (it’s a common industry standard benchmark), but it’s hardly indicative of overall processor performance in running real applications and operating systems. Cache performance, the memory subsystem, floating point performance, and a whole host of other factors play a part in real-world processor performance. And hey, wasn’t the Core i5-7300U (a 7th generation Core product) released in the spring of 2017? Are we supposed to be impressed that the ARM’s CPU design destined for next-year’s products can beat Intel’s two-year-old CPU? Intel’s got 8th generation Core processors on the market already. Sure, Intel has stumbled badly on its 10nm process rollout, but this is not an apples-to-apples comparison. It’s wonderful to see ARM claim laptop-class CPU performance (in a single integer-based synthetic benchmark) with mobile-class power usage, but that’s hardly a complete picture. Most importantly, as it relates to Apple’s own future plans: Apple doesn’t even use ARM CPUs. This performance roadmap has nothing at all to do with Apple’s current or future products. ARM offers two types of CPU licenses: It sells licenses for complete CPU designs that its customers can then incorporate into their own processors, and it sells another license that allows customers to make their own CPU designs that are compatible with the ARM instruction set. For example, MediaTek uses the first kind of license for its Helio X30 processor. It has two high-performance Cortex-A73 cores, four energy-efficient Cortex-A53 cores, and four very-energy-efficient Cortex-A35 cores. Yes, that’s 10 processor cores, all designed by ARM. But ARM doesn’t actually design the whole processor: MediaTek marries those ARM CPU core designs with a graphics core from PowerVR. Samsung uses both types of license in its Exynos processors. The Exynos 9 Octa 8895, found in the Galaxy S8, uses Samsung’s own M2 “mongoose” high-performance core core design together with ARM’s Cortex-A53 power-efficient cores. Qualcomm’s Snapdragon processors have, over the years, featured a mix of the company’s own ARM-compatible designs and ARM’s Cortex designs. Apple, on the other hand, doesn’t use ARM’s designs at all. Ever since the A6 processor, which debuted with the iPhone 5 in 2012, Apple has used CPU cores of its own design. Apple’s CPU cores are exceptional. It’s hard to get any sense of apples-to-apples performance against other ARM-compatible products, because the platforms that utilize them are so different, but every new Apple processor for the last few years has crushed the competition in benchmarks like Geekbench. In particular, Apple’s processors have excelled in single-core performance, relative to competitors. Notice anything about this graph from ARM? ARM is improving its single-core performance, but let’s not get ahead of ourselves. If you look at the fine print, it says the chart shows single-core performance in SPECINT 2006. Ignoring the fact that the chart doesn’t included the newer 8th-generation Core i5-8250U, or that Intel doubled the number of cores in its U-series processors in the last year, it shows the upcoming Cortex-A76 delivering a projected big leap in single-core performance over the A75. But that’s just playing catchup. Lackluster single-core performance is the main improvement from Samsung and Qualcomm’s custom high-performance ARM-compatible processor cores. Their custom CPU cores already outpace the single-core performance of ARM’s designs, and Apple’s single-core performance is greater still. Apple’s single-core Geekbench score is over 4200 for the A11, about 10 percent greater than the Core i5-7300U (take that comparison as you will, as the platforms are not identical). That’s in a multi-dimensional benchmark rather than SPECINT, and the A12 we’re likely to find in this year’s iPhones will surely be even faster. 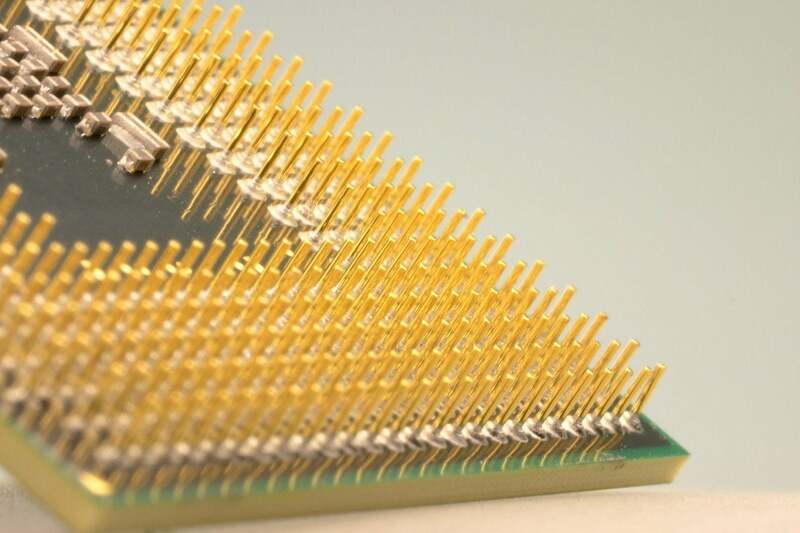 Maybe Apple is working on its own CPU for Macs, as previously rumored. There are lots of reasons for and against it. Apple is already putting its T2 processor in the iMac Pro and new MacBook Pro, functioning as sort of a co-processor. The company undoubtedly wants to control the destiny of its most important components. And while the transition from x86 compatibility to ARM compatibility in macOS (and it’s whole ecosystem of applications and accessories) would be difficult, Apple’s made similar transitions twice before. But ARM’s roadmap for its own CPU designs has nothing at all to do with Apple’s own CPU plans. Apple stopped using ARM’s CPU designs years ago, and already produces ARM-compatible CPUs of its own that offer much better performance. Some argue that the A11 in the iPhone 8 and X is already as fast as Intel’s U-series processors. When it comes down to it, Apple’s concerns with switching to its own processors probably have little to do with its ability to make a better energy-efficient processor for thin and light laptops. Apple probably already can. Rather, it has to do with the difficulty of transitioning the entire macOS ecosystem (including applications and peripherals), and Apple’s ability to make high power processors, like those found in iMac and Mac Pro, that compete with the best from Intel or AMD.